There are many causes of these hormonal changes including hormonal contraceptive (pills patchs, rings, shots, and IUDs,) infertility medications, treatment for endometriosis (Lupron, oral contraceptives), removal of the ovaries, and menopause. In the author’s experience, hormonal birth control is the leading cause of sexual pain in premenopausal women. One way to prevent getting vulvar and vaginal atrophy is to refrain from using very low dose hormonal contraceptives or hormonal contraceptives that are designed to prevent acne. 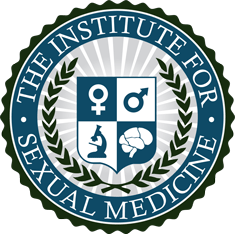 Common symptoms of vulvar and vaginal atrophy include: pain upon penetration, vaginal dryness, decreased lubrication, decreased arousal, decreased libido, stinging, and irritation. Treatment options include stopping taking the medication that is causing the hormonal changes. There are also systemic or topical estrogen and/or testosterone one can take, however these are not FDA approved.